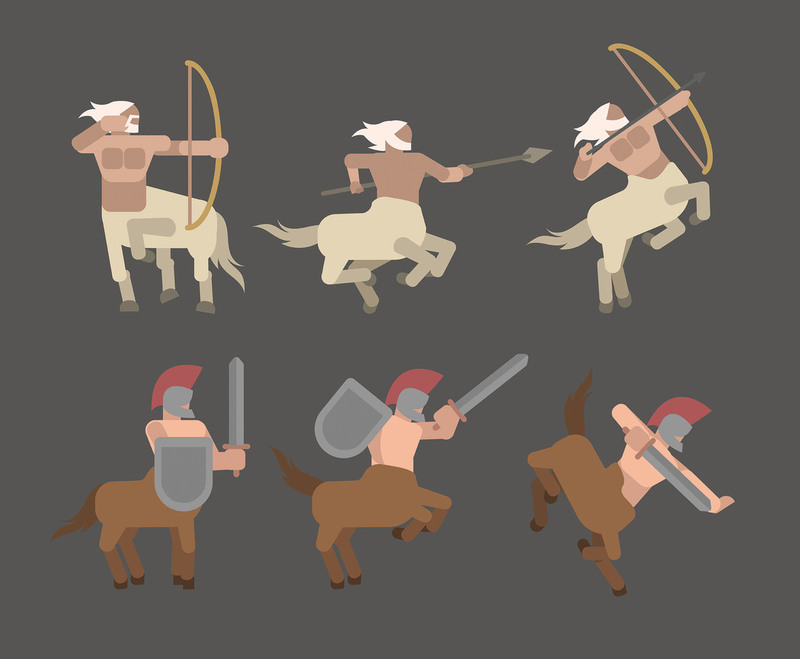 This is the half-human half-hoarse creature, centaur. This package consists of six icons of centaurs holding weapons like a bow and arrow, a sword, a spear, or a shield. I hope it's useful for your design projects.